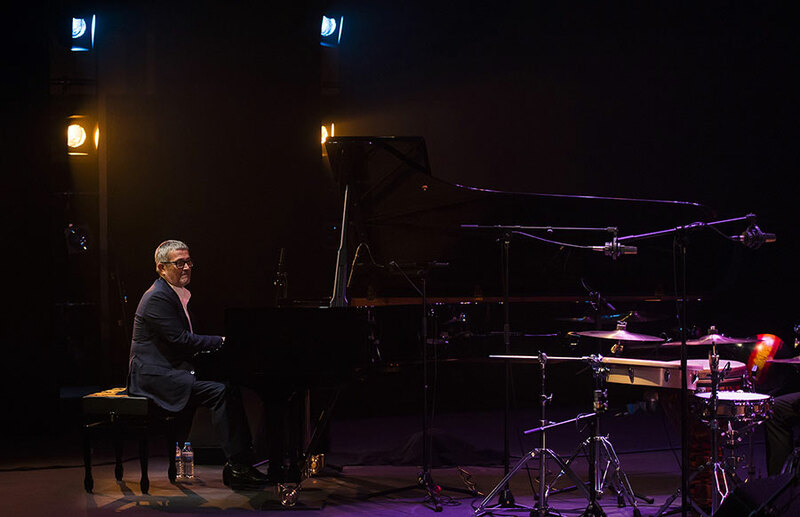 The best-travelled pianist of our jazz/flamenco is visiting Madrid from his New York residence. Over the last year he exchanged the West coast for the Big Apple. 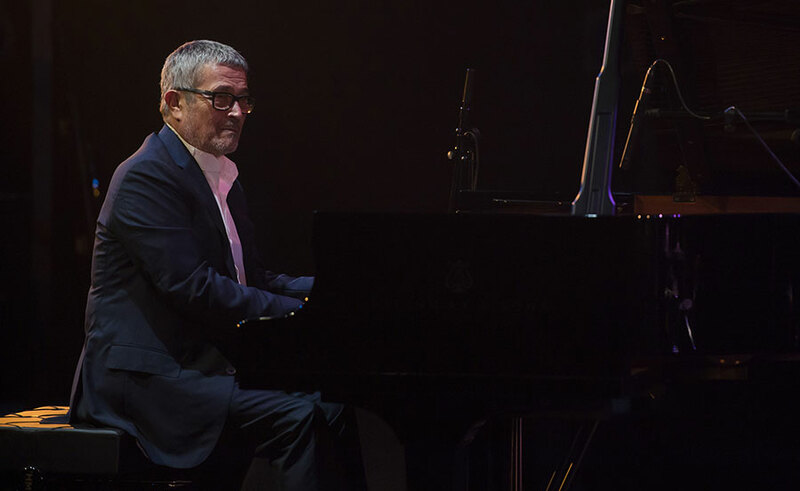 Chano presented “Piano Ibérico”, the album he recorded for the legendary Blue Note in 2010 in which he leaves no doubt that the first pianists to play flamenco were Mompou, Albéniz, Granados and Falla (our classics), and began his concert at Suma Flamenca with alegrías, backed up by singer Blas Córdoba Kejío, a singer who has always adapted extremely well to the music Chano gives him. 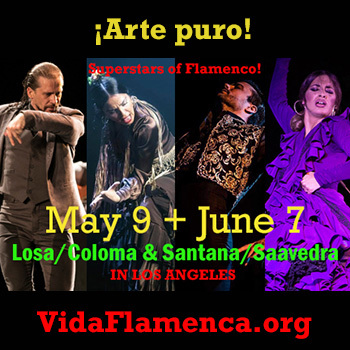 For the time being, no one is accusing Chano of cultural appropriation for having played jazz (a style we all know is not from here) to mix with his own flamenco leanings (we know there are plenty of people who defend essence and traditions). At center-stage is José Manuel Ruiz Motos, better-known as “Bandolero”, leading a set that was a monument to cross-breeding and bastardization. Seated on a flamenco cajón (native to Peru), on his right a conga (developed in Cuba), to which he added a cowbell (also from the Caribbean), a New Orleans-style box, a tambourine that might be from Galicia, a djembe from Senegal and a complete collection of typical jazz cymbals which we could call North American. 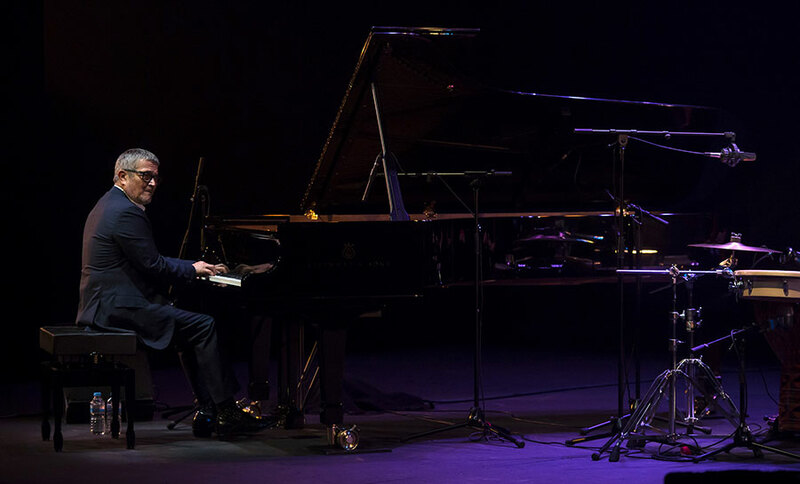 And yet, his music is unequivocally flamenco and unabashedly jazz as demonstrated in the rhythmic back and forth with the pianist, a common practice in jazz practiced by Paco de Lucía in his groups. 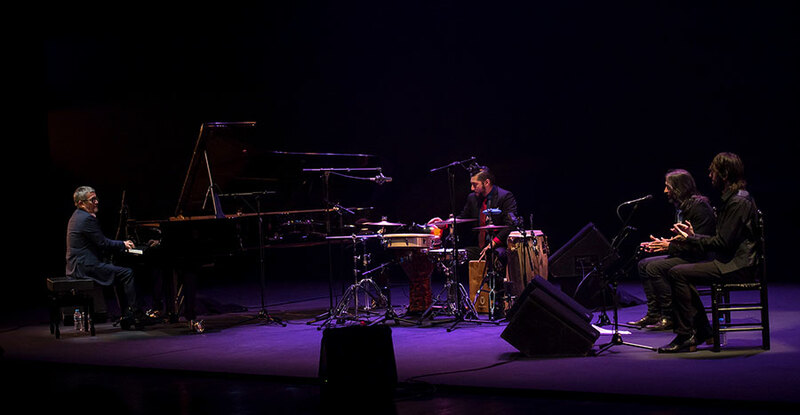 Nor was there any classical musician complaining there was no sheet music, so the melodies of Albéniz and Granados passed through Chano’s hands to become jazz, acquiring flamenco rhythm in the clapping of El Kejío and dancer Daniel Navarro, and Bandolero transformed his music into a planetary symphony that could just as easily have been played by Duke Ellington. The musicians cheered the pianist on, and Chano answered with a flamenco, Cuban and jazz attack (now a “manisero”, afterwards a “caravan”). 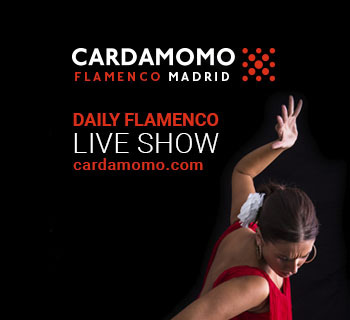 We all know de Falla’s “Fuego Fatuo” has been sung many different ways, and when Blas Córdoba does it, it seems the most logical, Daniel Navarro dancing with classical forms (Escudero/Gades/Mario Maya) and Domínguez interpreted “Blue in Green” by Miles Davis, from his 1959 record “Kind of Blue” to which the pianist added a poem written by Rafael Alberti in those years, and took Kejío up front despite the difficulty that implied. 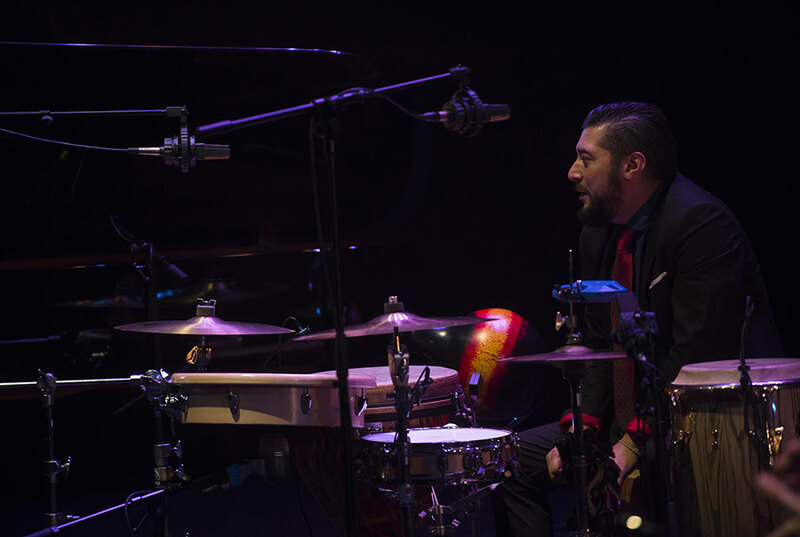 They ended, as you would expect, with bulerías, and with the audience at the packed Green Room on their feet demanding more, just before closing out with the encore in which Chano and Bandolero raised a fine ruckus improvising questions and answers. 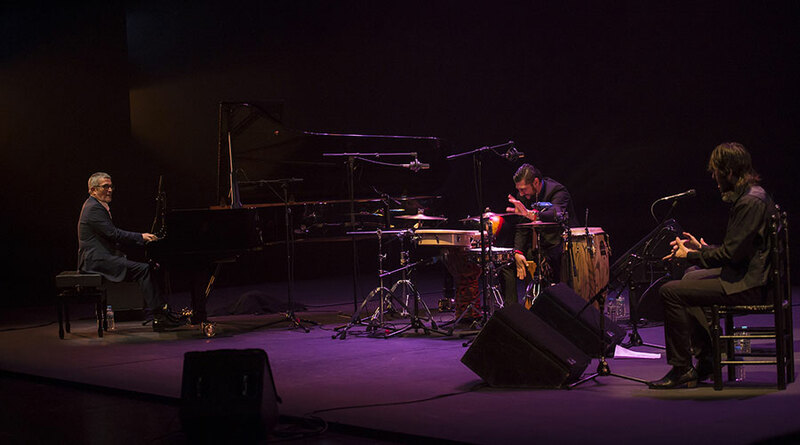 It’s time we realized that audience comes from jazz and is also drawn to flamenco, and that it’s not a flimsy crowd but a group of rather seasoned veterans who long, long ago identified with that “Sólo Quiero Caminar”.